In this lesson, we will demonstrate how we can use Thymeleaf in a Spring Boot based application to show data in a simple template frontend. We will be using the Spring Initializr tool for setting up the project quickly. We will also mention the dependencies present in our project if you choose to setup the project manually. You can find full source code here. Download the project and unzip it. Make sure to use stable version for Spring Boot from the maven central. Keep the focus on the package structure. To directly use the application, we will use it with a command line runner. It is a standard POJO with getters and setters. This is empty as all the functionality we need is already fulfilled by the default JPA methods. We will explore them in coming section. This interface just defines some contract methods the service layer must implement. Let’s move to the implementation now. All the methods were actually having a single line of body. This was made possible by the JPA Repository interface itself as we were able to use the methods defined in the repository interface. We will now define the Thymeleaf based templates for our two pages. First page will be a form where we can enter data which needs to be saved to the database. Finally, let us make a controller which provides API endpoints. The Controller will have request mappings. First to present the user the form where he can enter data. 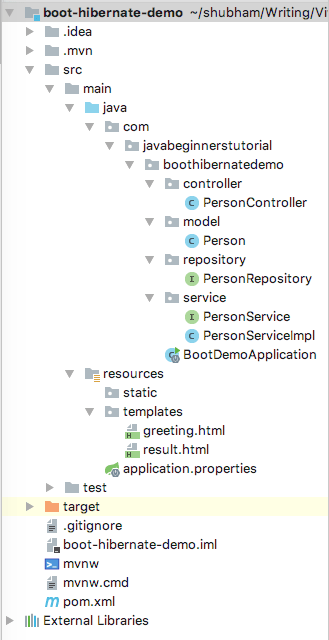 With Thymeleaf on our classpath, Spring Boot detects it and infers the String we return as the name for HTML Thymeleaf templates and pick them from the resource directory. 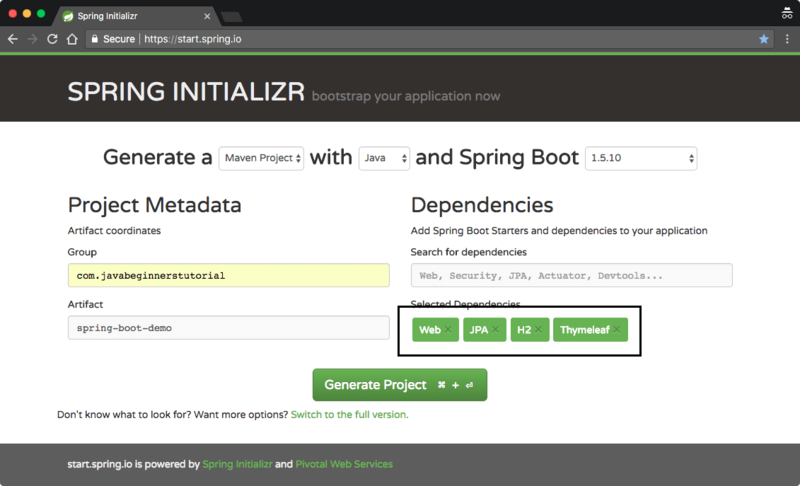 In this lesson, we looked at how much ease Spring Boot provides us with quick project setup and how we can integrate Thymeleaf with minimal and yet powerful configuration. Feel free to leave comments below. In this lesson, we will demonstrate how we can use Thymeleaf in a Spring Boot based application to show data in a simple template frontend. We will be using the Spring Initializr tool for setting up the project quickly. We will also mention the dependencies present in our project if you choose to setup the project manually. Could you please let us know the problem you are facing. We tried again and it is working fine. And please make sure you are running on Java 8. Coz Java 9 and beyond requires extra dependencies. I am getting white label error.